Following up the collaboration they released last year, A$AP Rocky 's AWGE and NEEDLES have come together once again on a tracksuit capsule. Leading the special AWGE butterfly embroidery decorated range is a velour "Purple/Teal" tracksuit which embraces a playful mix of pastel tones. Other pieces found in team include the regal "Purple/Gold" and "Red/Grey" piping tracks done in a shimmering smooth poly and a "Grey/Blue" sweatsuit rework. Aside from delivering new takes on the popular tracks, the duo put together an understated Run-up Popover Jacket and matching Side Line Seam Pocket Easy Pants in "Black/Grey." 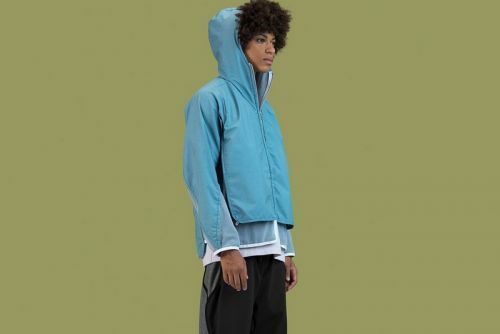 Priced between ¥22,000 and ¥36,000 JPY , the AWGE x NEEDLES SS19 capsule is set to release April 20. For more contemporary fashion, SEVENTH HEAVEN's SS19 collection is centered around an exploration of denim .